University of Colorado Associate Professor, and Director of PhET Interactive Simulations -- Dr. Kathy Perkins spoke to us along with Inspark Director of Product & Innovation, Jacqui Hayes on November 15, 2018 as part of the Inspark Innovators Series. 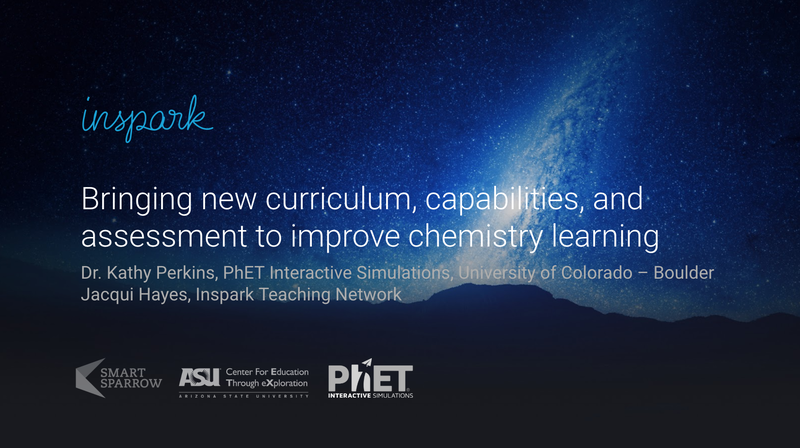 The partnership between The Inspark Teaching Network with PhET Interactive Simulation allows us to incorporate engaging simulations and, track students work to deliver personalized feedback and insight into student performance that can illuminate learning patterns and help identify at-risk learners. Highly interactive lessons that include graphically-rich simulations and activities, help learners explore and understand threshold and complex concepts. 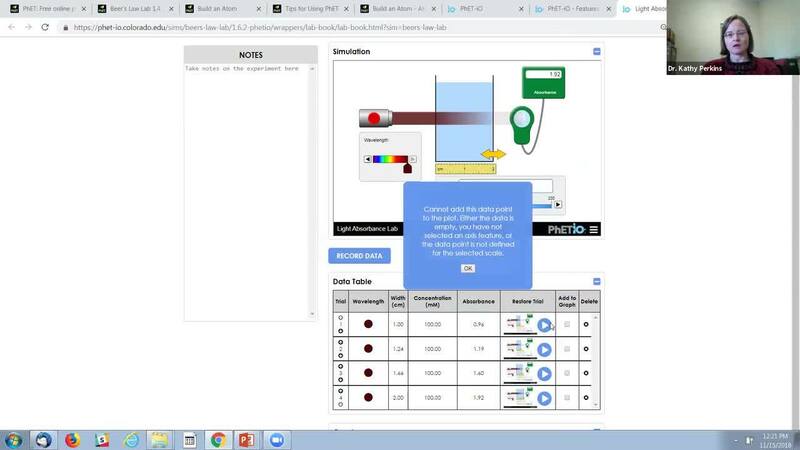 By embedding PhET Interactive Simulations into the Critical Chemistry curriculum, students can be more actively involved in their learning experience more than ever before. This webinar will offer a sneak peek at the new PhET-io capabilities that were developed to work with other Education Technology tools. When combined with the Smart Sparrow author, these capabilities can enable faculty members and instructional designers at any institution to create learning experiences around PhET simulations that provide immediate feedback and guidance, record the students’ work to be used as an assessment, and to incorporate into a more structured online lab experience. review how to leverage PhET interactive simulations and incorporate inquiry-based curriculum to deepen student learning. learn how new tools, such as the Smart Sparrow platform, to edit the learner experience using PhET simulations and provide immediate student feedback. be introduced our Critical Chemistry package incorporates PhET simulations to provide an adaptive, personalized learning experience. As Director of PhET Interactive Simulations, Dr. Kathy Perkins oversees the project, sets new strategic directions, and still satisfies her passion for sim design and pedagogy as an active member of PhET projects. She holds a BA in physics, MA in chemistry, and PhD in atmospheric science, all from Harvard University. In 2003, she joined Carl Wieman to work on the new PhET project and has directed the project since 2008. She also directed CU’s Science Education Initiative, and is a faculty member in the Physics Education Research Group. She has authored over 60 articles on STEM education and education research. Jacqui Hayes crossed the Pacific Pond from Sydney to San Francisco office to direct production of science courseware for the Inspark Science Teaching Network. She has a degree in science and has worked as a science performer, science educator, science journalist and science editor. Her favourite colour is 460-495 nm, and her most annoying office habit is pointing out inaccurate depictions of DNA.